Volunteering for one of Virginia’s many organizations is an ideal way to contribute to the greater good of society. Between organizations that give back to our armed forces, to religious groups that help to feed the hungry, to animal rights organizations, there are enough opportunities for a lifetime in Virginia. Here are 15 of the best places to volunteer in the state. Recipient of last year’s Governor’s Volunteerism and Community Service Award, Change the World RVA is an organization focused on helping students succeed in high school, college, and life. Focusing primarily on homeless students in the Richmond, Virginia area, Change the World provides a network of adults, weekly programing, field trips, college visits, and host families. Another Governor’s Volunteerism and Community Service Award recipient, the Virginia Organized for Interfaith Community Engagement (VOICE) organization “is an outstanding example of collaborating and unity when sometimes it seems the world is so divided.” VOICE brings together organizations of 50 different congregations of various political and religious beliefs to work on issues such as affordable housing, health care access, immigration, and education. The Congregational Community Action Project in Winchester, Virginia, is a “non-profit, faith based organization that brings together churches, synagogues, business, civic groups, bequests, and private individuals” to offer services such as financial assistance, fresh food, donated clothing, and transportation for those in need. The all-volunteer staff is always looking for new members to join their ranks. Our Military Kids, Inc., based in McClean, Virginia, helps families with parents that sustained injuries in the military. The organization has given out 56,000 grants and over $22 million to military families to help improve children’s academic performance, reduce stress, and improve overall family well-being. In addition to grants, the organization offers regular programming for members. Mercy Medical Angels, headquartered in Virginia Beach, Virginia, provides transportation for those with severe medical needs and who cannot otherwise get access to the care they require. Patients can take one of their airplanes or trains out of state to meet with doctors and specialists. Mercy Medical Angels has helped patients for over 44 years, and is always looking for new volunteer pilots. Rikki’s Refuge Animal Sanctuary in Orange County, Virginia, is a 450-acre animal sanctuary with a strict no-kill policy. Currently housing almost 1300 animals, including cats, dogs, sheep, rabbits, pigs, emus, and more, it is owned and operated by life Unlimited of Virginia, Inc., a not-for profit corporation. The primary goal of the Animal Sanctuary is to provide rescue and adoption for the animals. Rikki’s is always looking for donations and volunteers, so be sure to check out the website to get involved. Hope for the Warriors have offices in four states, but if you’re in Springfield, Virginia, you might be able to stop in and lend a helping hand. Hope for the Warrior’s mission is to help military families come back together after long and sometimes arduous deployments through programming for veterans, service members, and military families. Regular programming, such as marathons and other community building exercises, are great opportunities to volunteer. The Reel American Heroes Foundation in Woodbridge, Virginia, brings military families together to go on organized fishing trips. The volunteer-run organization provides each participant with a minimum of a fishing pole and fully-stocked tackle box with the aim of using fishing as a therapeutic and relaxing escape from the rigors of military life. The Society of St. Andrew, based in Big Island, Virginia, is a Christian faith-based organization focused on feeding the hungry and reducing food waste. The organization has been around since the 1970s and has done incredibly work. Access Partnership is a “community of collaboration of medical providers, charities, universities, churches, civic groups, free clinics, community health centers, departments of health,” and others to bring health care to the people of Hampton Roads. Access is currently looking for medical and dental professionals to volunteer their time to help those in need, but also need IT, marketing, and event planning professionals. The Virginia Center for Inclusive Communities across the state works to combat discrimination. The mission is to “work with schools, businesses, and communities to achieve success through inclusion.” To those ends, regular programming, including in-school assemblies and the Emerging Leaders Institute help to spread their message. The Center is always looking for new, dedicated volunteers to help deliver programming, raise funds, and provide administrative support in the office. 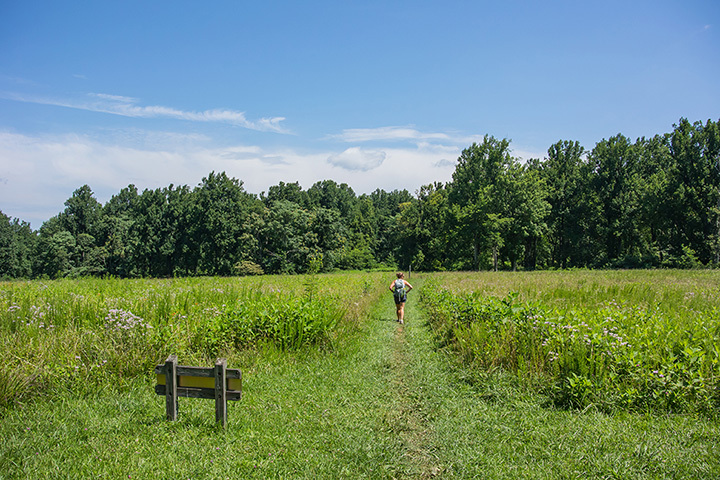 With 38 state parks across the Commonwealth to choose from, volunteering at a Virginia State Park might be just what you’re looking for. Volunteers take on a myriad of different duties, including running programs, beautification efforts, develop trails, and administrative work. Each park is different, and so different traits in volunteers may be required. The parks are in need of volunteers most in September, but take applications all year long. Ever see a medical vehicle rush through traffic on the way to save someone’s life? Ready for an exciting challenge that will put you in the driver’s seat? Then volunteering for Emergency Medical Services might be for you. Volunteers go through rigorous training before they’re allowed to run the ambulance and stand regular duty. The competition is thick, as this is one of the most sought after volunteer positions around, so make sure to apply early. The SPCA has offices throughout the state, and is always looking for animal lovers to volunteer their time. Whether you’re a junior volunteer (age: 13+) or an adult volunteer, there are options for you. If you don’t want to work in the SPCA building, consider signing up as a foster parent for one the animals. The Children’s Hospital of the King’s Daughters is a hospital focused on children’s healthcare. CHKD is always looking for willing volunteers to help ease their young patients’ burdens. The CHKD website notes that, no matter your skills or availability, they are willing to match it to a need, and that the most important qualification is compassion.